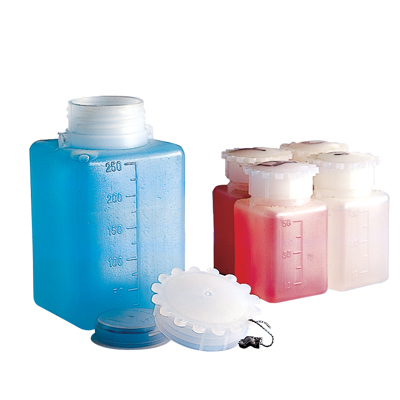 500mL Graduated Rectangular HDPE Bottle with Cap | U.S. Plastic Corp. Convenient square design bottle saves space. The integrity of the seal is insured by the additional internal plug. Hole in closure for attachment of tag. Maximum temperature for HDPE is 230°F.